What’s real and what’s not is a big question, but one thing we know for sure is that reality shows are not real. Much of the action is staged, and many of the conflicts are hyper-exaggerated to provoke laughter or tears and generate ratings. Despite this obvious artifice being general knowledge, reality/variety shows continue to be very popular both in the U.S. and Korea. Reality shows are so popular that they are moving into K-drama. Lately, these shows have even inspired a trend of fictional TV about the making of reality shows. In the U.S. “Unreal,” a show about the Machiavellian schemes maneuvering a reality show styled on “The Bachelor,” scored big at several award ceremonies, winning honors that included Critic’s Choice Awards and a Peabody. K-dramas have taken the bait too. From the hilarious to the chill-invoking, several K-dramas have tackled the topic of the unreality of reality shows, using the topic to explore the bigger question of how one’s sense of reality is vulnerable. 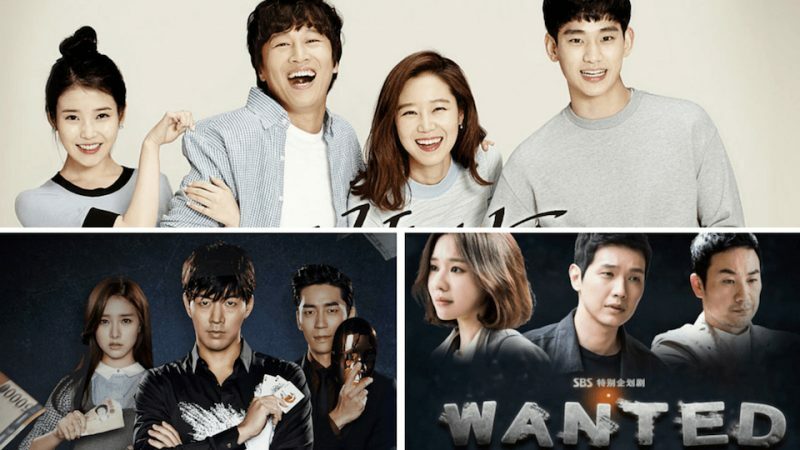 “Wanted” is the latest of these dramas. In “Wanted,” an actress is planning to retire and leave her unhappy marriage when her son is kidnapped. The only way she can ensure his survival is to film a reality show with missions doled out by her captors. The husband she is about to leave is the producer of the show. The plot premise raises plenty of questions about the role of the media in tailoring what viewers think of as reality. Who kidnapped the child? Is the kidnapping real or a publicity stunt? Did her soon-to-be ex kidnap the child to make money? Who can you trust? Should TV shows give criminals the wrong idea by publicizing crime? The drama, which stars Kim Ah Joong, Uhm Tae Woong and Ji Hyun Woo, has only been on for a few episodes but already plot developments have demonstrated that reality is all a matter of perception and that perception can be manipulated. It’s not the first time that K-dramas have tackled reality shows from a dark perspective. “The Liar Game,” starring Kim So Eun, Shin Sung Rok, and Lee Sang Yoon, focused on the filming of a psychological survival game wherein participants trick and lie to each other. To win, you had to be a really good and confident liar. What’s real and not real? What’s the truth and what’s a lie? The contestants and reality show participants were often not sure what the truth was and which goals to pursue. If they were honest when they began the game, they lied to survive. The sinister game show drama kept viewers guessing until the very end. Other K-dramas have tackled the reality show format on a lighter note. In “Eccentric Daughter-In-Law,” a fading K-pop star attempts to revive her image by appearing on a “We Got Married” style reality show. Only the singer, played by Kim Da Som, is paired with more than a prospective husband, played by Ryu Soo Young. She also acquires a prospective mother-in-law, played by Go Doo Shim. It’s a very traditional family and the fading K-pop idol Kim Da Som is not the daughter-in-law that Go Doo Shim’s very critical character was expecting. “Producers” focused on the variety type of reality show, but there was plenty of staging going on in that drama too. While it mainly focused on the characters who made the program, it provided plenty of glimpses of the off-screen manipulation that goes on when producers film reality/variety shows. The producers, played by Cha Tae Hyun, Gong Hyo Jin, and Kim Soo Hyun, knew that their show needed ratings to survive and they worked hard to make it dramatic, placing characters in difficult situations and pitting them against each other. Called a “variety drama,” it was actually filmed by the variety department at SBS, rather than the drama department. “The Greatest Love,” starring Gong Hyo Jin, Cha Seung Won, Yoon Kye Sang, and Yoo In Na, was one of the first to parody a reality show. Also based on the real matchmaking reality show, “We Got Married,” the drama shows that true love can even happen in the unreal world of staged entertainment. That has not been the case with the real “We Got Married,” which has featured real-life couples but has not resulted in matchmaking a lasting relationship. The reality show is here to stay. Part of the appeal may be seeing people react in real time to unexpected situations. Whether it brings out the worst or the best in participants, it has become a staple in prime time entertainment. Does it work in K-dramas? The viewers will have to decide.